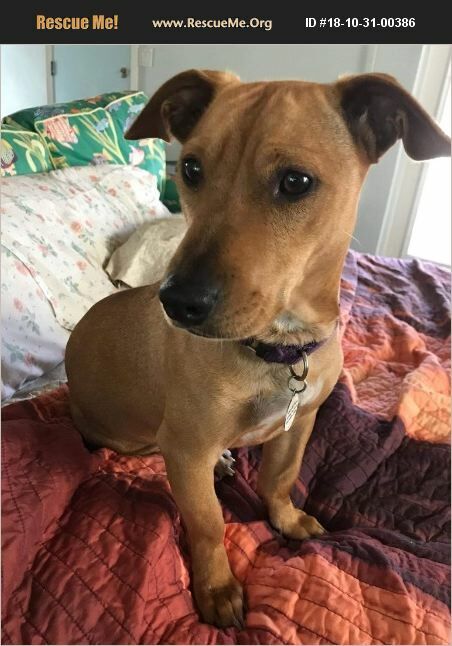 Sissy is fostered in Englewood, FL (Sarasota County). We are a foster-based rescue and always looking for foster families. Sissy is a sweet low rider Dachshund mix of 30 pounds. She came from an abusive home and is shy when first meeting new people and in new situations, but is willing to be courageous. She is very timid around men and will need to be treated with love and patience in that regard. It is better to embrace that situation than to avoid it, so an understanding home is welcome. Sissy loves to play, run, and is good with other dogs. She is good on lead, enjoys riding in the car, and snuggles with the best of them. Sissy does know sit, has a great recall and needs work on down. She can be stubborn at times, but a little food reward can work wonders. Sissy is crate trained, housebroken and uses the doggy door. She has a good amount of ball drive. Great all-around companion dog, great hiking or biking companion. Sissy will need an adopter who is willing to further her manners and take her to obedience classes and socialize her more, especially with men - that is a condition of adoption. Fenced yard is a requirement. Sissy is spayed, up-to-date on vaccines and preventives, microchipped and heartworm-free.